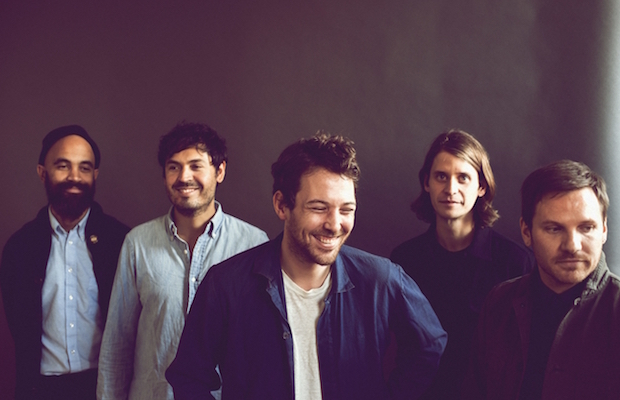 Seattle based indie folk outfit Fleet Foxes revived their flourishing career earlier this year with the release of their third full length, Crack-Up, after a six year hiatus. That highly-acclaimed album has spawned a tour that will see the band return to Nashville’s The Ryman Auditorium on May 21 for the first time in as many years. Tickets go on sale this Friday, Dec. 8 at 10 a.m. CST and you can snag them right here. Fleet Foxes caught the attention of their first fans over 10 years ago, gigging around Seattle with their unique, harmony drenched, retro pop influenced brand of folk, and one of the ears they caught belonged to producer Phil Ek (Band of Horses, Modest Mouse, The Shins, Built to Spill). Ek teamed up with primary songwriter Robin Pecknold and co-founders Skyler Skjelset and Casey Wescott to record their EP Sun Giant and their self-titled debut LP, which was quickly snatched up by Sub Pop and distributed to worldwide acclaim, nabbing year end nods from most every credible media outlet, and setting the stage for the rise of Fleet Foxes. The band toured extensively on their debut, and it was another two years before they returned with another absolute gem in their sophomore release, Helplessness Blues, in 2011. The resulting effort was designed to be more of a concept album, and marked a pinnacle in the young band’s career, when they notched a Grammy for Best Folk Album in 2012. At that moment, when it seemed like Fleet Foxes would become a runaway freight train, they slowed into a hiatus that saw drummer Josh Tillman leave the band to focus on Father John Misty and Robin Pecknold take time off to study at Columbia in New York. There was clearly a lot of songwriting going on over that period, and collaborations with some high profile musicians. While it was amazing that it took six years to release their follow up, Crack-Up, the resulting record feels like catching up with an old friend, but maybe one that has been traveling for a while with lots of stories that need to be unpacked. If you haven’t spent some time with this new record, it should be on your end of the year list for sure, and their gig at The Ryman on May 21 should definitely be on your most-anticipated list of shows for the spring.